I am a Science student with more hobbies than university subjects. Australians are famous for their beaches and water-based activities. Surfing has become engrained in our culture, and provides a hobby or even profession for an ever increasing number of enthusiasts. One statistic suggests that 2.5 million Australian are surfers. Surf & Sun have been offering surf lessons in Middleton for over 10 years, and have worked out all the best techniques to get beginners up on their boards. 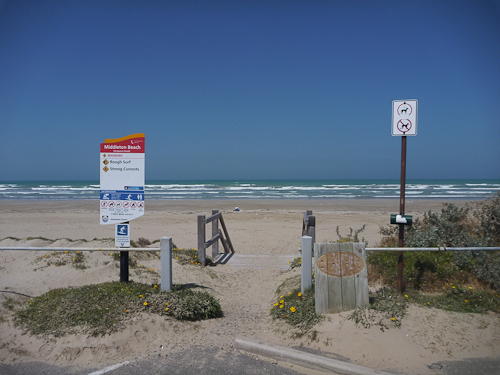 Middleton is a pretty safe beach to begin surfing on: it is long and flat, not steep, without rocks or reefs, and rips less strong than on many other beaches (but always exercise due caution when approaching unfamiliar waters). The lesson started with a safety briefing about the potential dangers at beaches, which provided concise yet thorough information that more locals should know and all tourists ought to be made aware of the minute they enter the country. The last hour of the lesson is practise time. Having learnt how to paddle and get up on the board while still safe on the sand, the group moves into the waves and starts battling their way out to catch a decent one. The white broken waves are best to start off with, and catching your first wave is a magnificent moment. Of course, falling back into the water repeatedly is also an experience to be remembered. Learning begins on the sand, then progresses into the water. 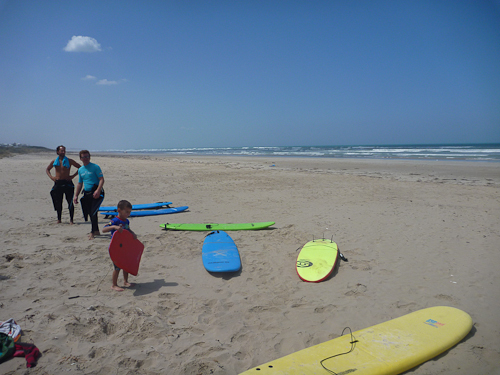 Surf & Sun provided clear and professional instruction throughout all aspects of the group beginner's lesson. The instructor was clearly an experienced surfer and an excellent teacher besides. Private and group lessons are available, as well as continuing on from beginners to intermediate levels. 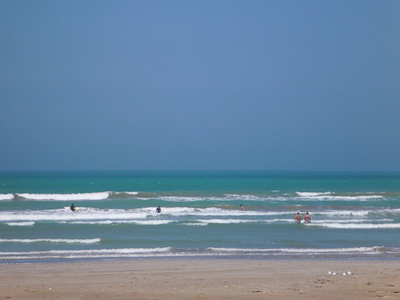 There are deals for a package of surf lessons, and discounts for multiple people. Surf & Sun are a company that started up in 2001 and offer a variety of South Australian experiences. Along with surfing in Middleton (and Moana in the Christmas holidays), there are wildlife adventures on Kangaroo Island, walking tours of the Heysen trail, whale watching in Victor Harbour, and river cruises on the Coorong - just to name a few. There are school camp and corporate team building activities as well. 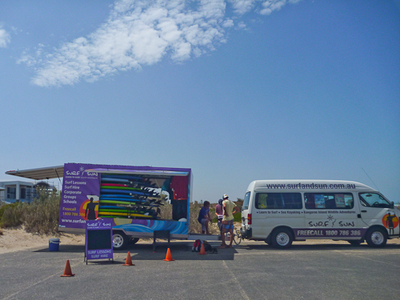 The Surf & Sun van transports the equipment to the beach, boasting a range of sizes of wetsuit and surf boards. Surfing is a great experience that every Australian should try at least once in their lives. 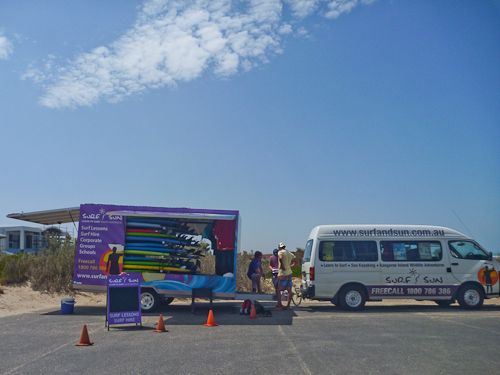 There are many other companies offering surf lessons in SA, but Surf & Sun clearly offers a great service at a popular holiday destination.